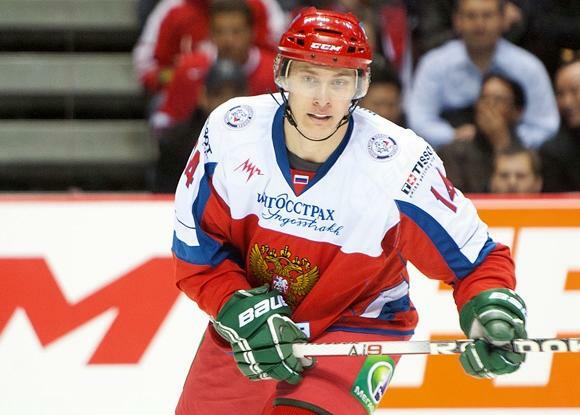 Leafs pursuing another Russian star? When is the 2017 NHL trade deadline? A question that comes up a lot this time of year is when exactly the NHL trade deadline takes place. Many different theories appear online in absence of any announcement from the NHL, who for some reason doesn't like to make a big fuss about the date despite it being a huge deal for fans. Daniel and Henrik Sedin are drawing plenty of interest from around the NHL, but perhaps the surprising bit is that at least two teams have said they're willing to take on their contracts with no salary retained. 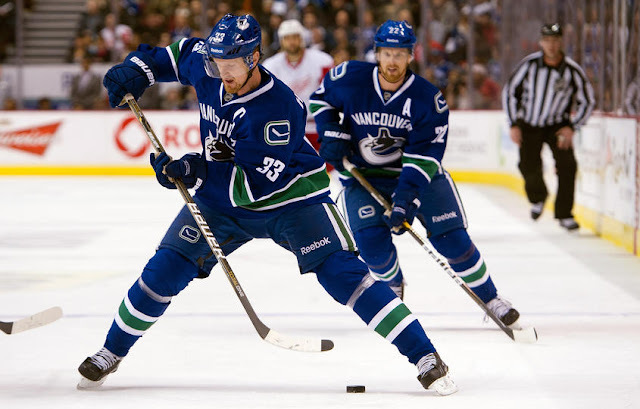 The Sedin Twins, both aged 36, are under contract this season and next at $7 million dollars apiece. 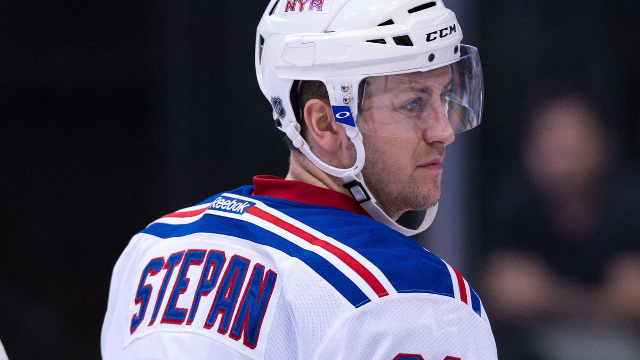 The Arizona Coyotes have reportedly acquired Peter Holland from the Toronto Maple Leafs. Holland is a depth center who can chip in a bit offensively. He's probably not a number two, but he could slide in as a number three (or four) and not look out of place. 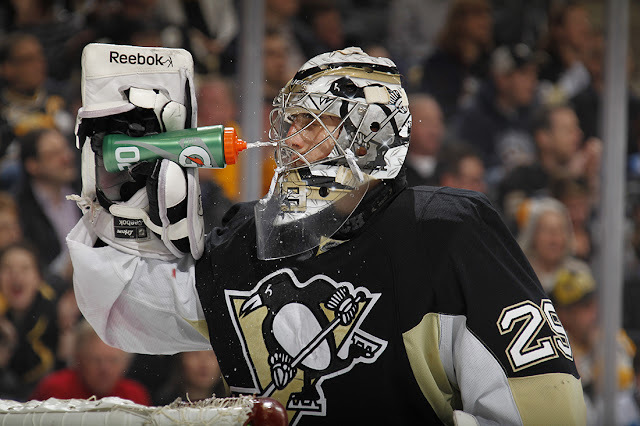 He wasn't getting that ice time with the Leafs. It's hard to imagine the Canadiens moving out another core piece so soon after the PK Subban trade, but here we are. Flurry of Leafs moves coming? The rumour mill never rests in Toronto, but it would appear that a few moves are coming in the near future. 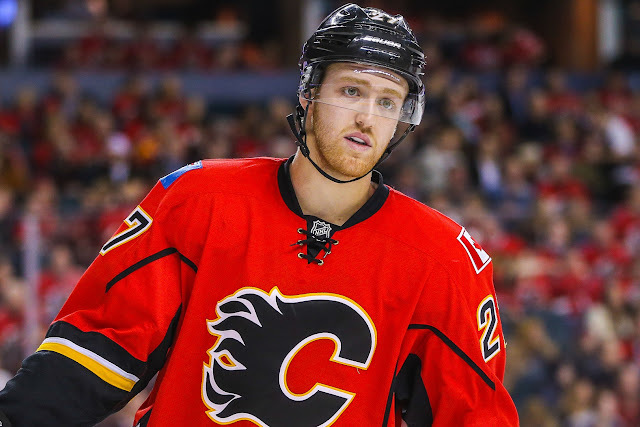 Flames President Brian Burke made a fervent denial on Wednesday that his organization was considering trading young defenseman Dougie Hamilton to the Leafs or any other team. Rumours around Hamilton started cropping up a few weeks ago, and had begun to really snowball in recent days. So that's the end of that I guess. Right? Reports out of Russia indicate that several NHL teams may be lining up to sign Russian center Vladimir Tkatchev. 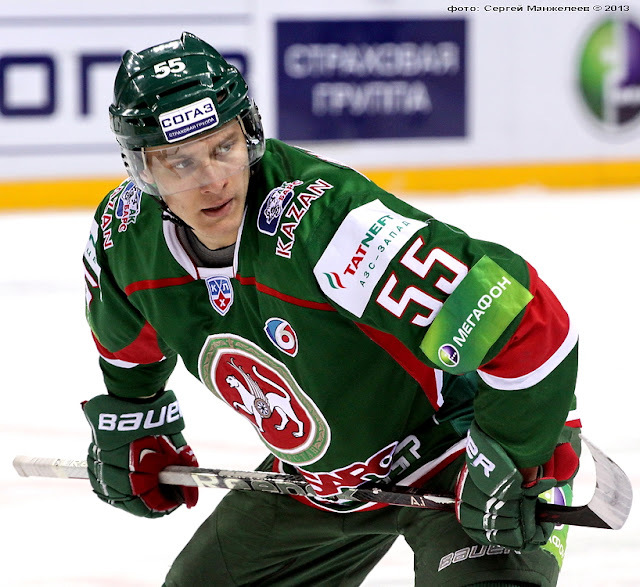 The 23 year old has 22 points in 37 games for Ak Bars of the KHL. 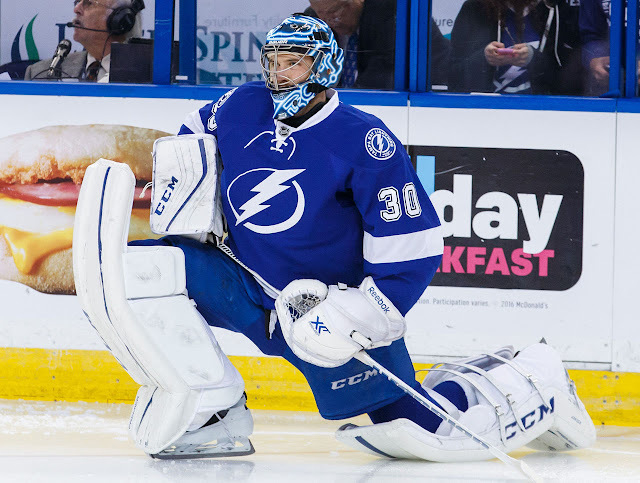 Goalie market heating up; Flames up to something? 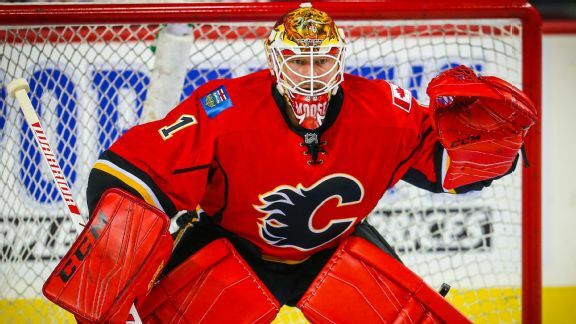 Although they went out and traded for Brian Elliott this past summer, it's increasingly likely the Flames re-enter the goalie market before the trade deadline. The NHL Rumour Board is back! We're about 90 days away from the 2017 NHL trade deadline and the rumour mill has already begun to heat up. 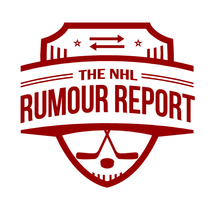 To get you set for the months ahead, NHL Rumour Report's Rumour Board is back up and ready to go. The NHL season may have just gotten underway, but it's never too early to begin looking ahead at what trades might happen when the calendar turns to 2017. While the deadline is set for March 1st, 2017, moves usually happen several weeks in advance of that date as teams scramble to get their trade targets. 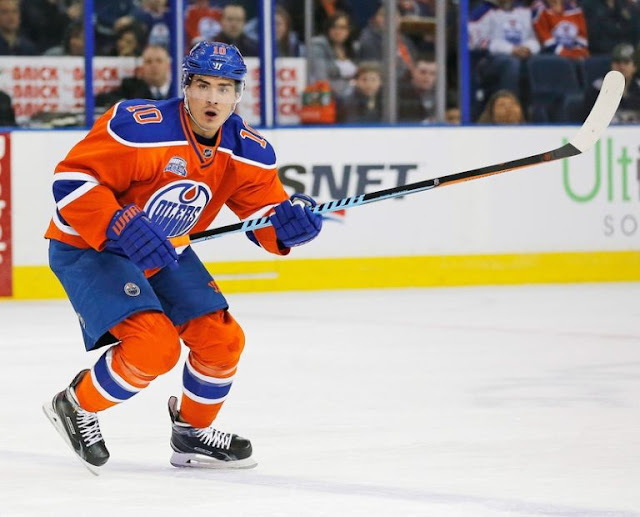 In the last year or so we have seen a massive uptick in trade rumours as teams feel the pressure of a stagnant salary cap and the threat of the expansion draft. While many of these rumours don't come to fruition, the Taylor Hall and PK Subban trades remind us not to be dismissive every time a big name surfaces. 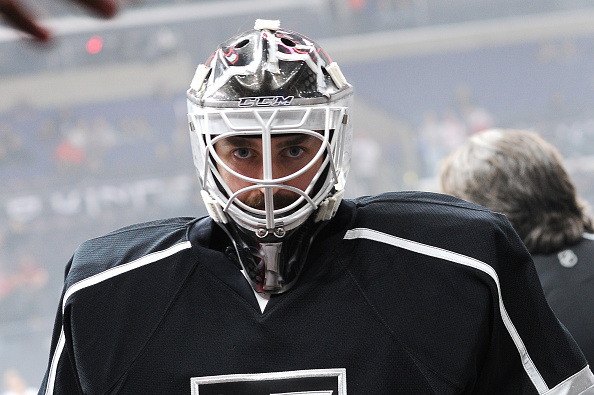 The LA Kings have a difficult situation on their hands with Jonathan Quick out for the next three months or so. 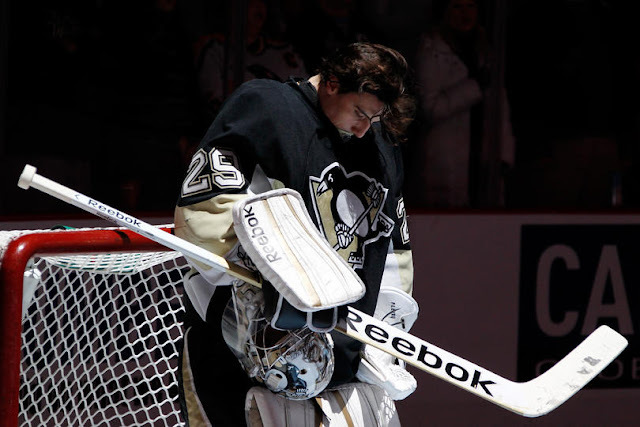 The team has spent the last week or two going with Jeff Zatkoff (now injured) and Peter Budaj as their NHL tandem, which isn't working out so well. 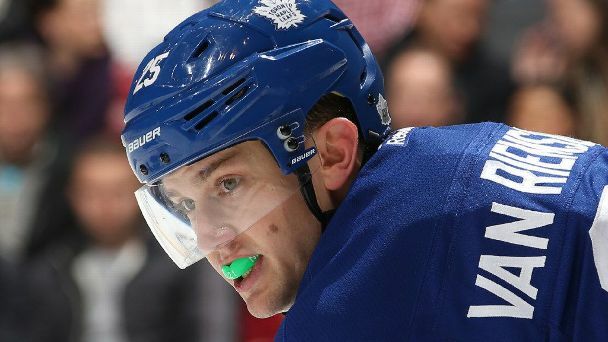 The NHL season may have just gotten underway, but several rumours have already emerged (or re-emerged) on the trade front. Most teams take a few weeks to assess their team before turning to the trade market, but here are eleven names that are already bubbling to the surface. 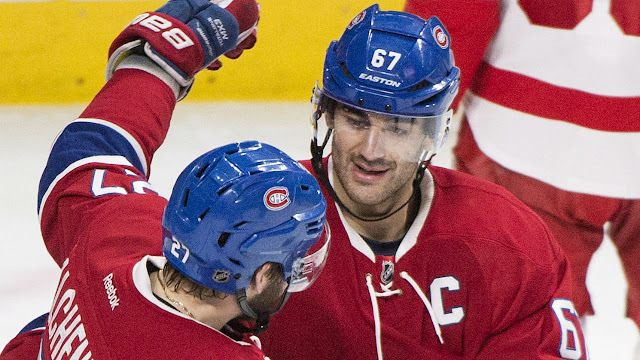 In our tour around the NHL, we stop in the Atlantic Division to see what the Lightning, Canadiens, Leafs, Sabres, Senators, Panthers, Red Wings and Bruins might get up to on the trade front this season. Today we look at the season ahead for the Blues, Blackhawks, Wild, Predators, Avalanche, Stars and Jets of the Central Division. 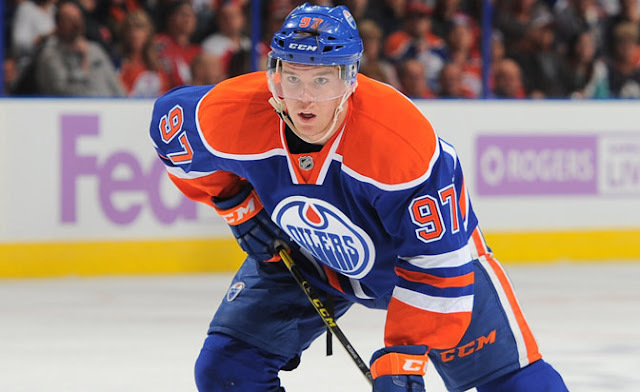 With the season upon us, NHL Rumour Report will look at what to expect from each team on the trade front. 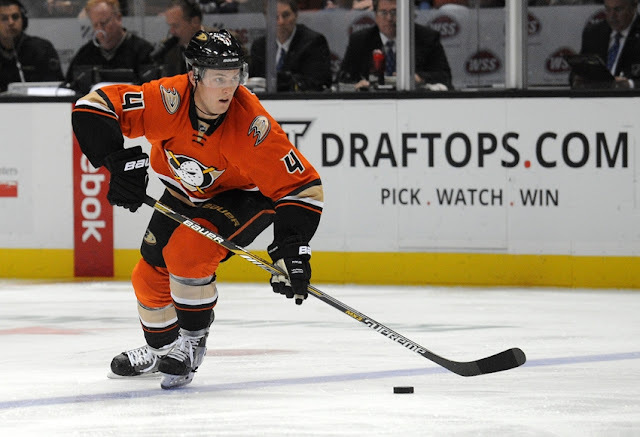 Today, we look at the Ducks, Sharks, Kings, Oilers, Flames, Coyotes and Canucks of the Pacific Division. 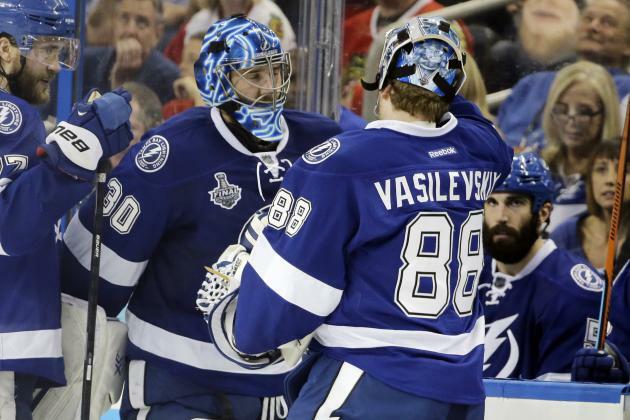 Could a cap crunch force the Tampa Bay Lightning into making a big move this preseason? With Nikita Kucherov positioned to sign a big extension that should put the team over the salary ceiling, GM Steve Yzerman may have no choice. 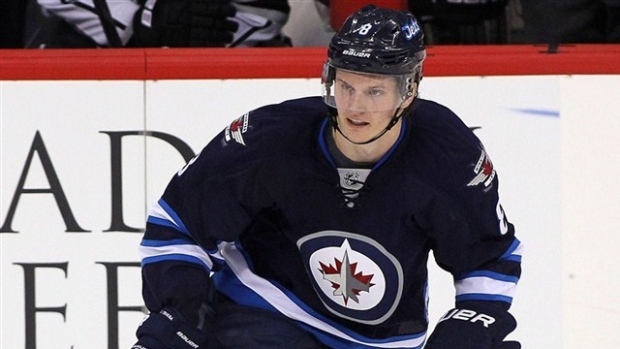 After months of rumours and speculation, it's now official: Jacob Trouba has asked a trade. 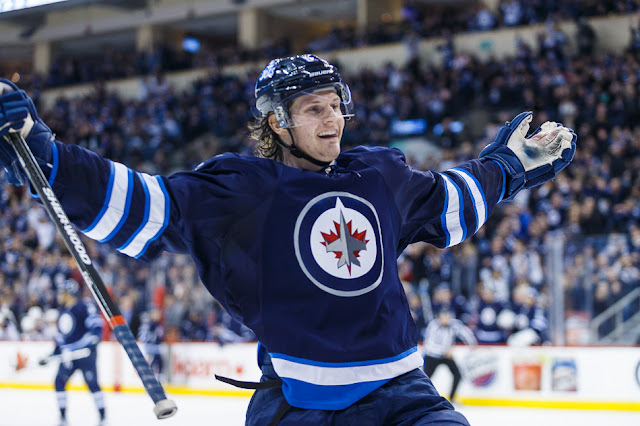 Trouba's reported request of a 6 million a year long term deal seems to have startled the Jets, who won't have a lot of spare change kicking around for future negotiations with players like Nikolaj Ehlers and Patrik Laine. With cornerstone defenseman Dustin Byfuglien locked up long term, many wondered if the Trouba negotiations might take a turn for the worse. 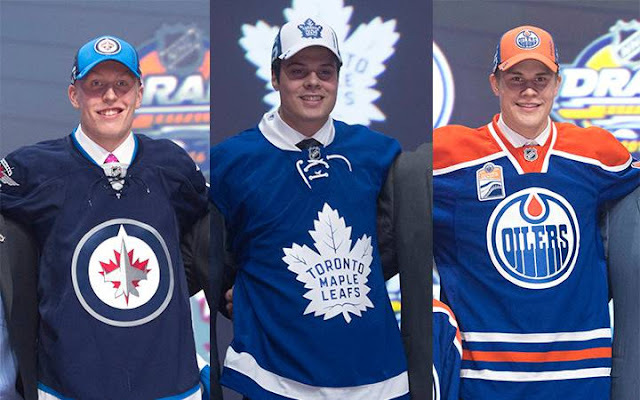 This year's crop of rookies has several standouts - including three Maple Leafs and two Jets who could all be in contention for the Calder trophy by season's end. Who comes out on top? 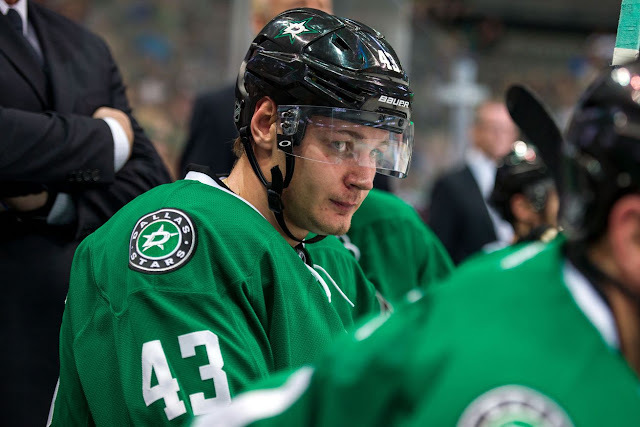 Word broke today that Valeri Nichushkin has signed or is planning on signing a contract with SKA of the Kontinental Hockey League, following months of speculation that he was unhappy with his role on the Dallas Stars. Several big name RFAs remain unsigned, and the clock is ticking with NHL training camps just days away. While cornerstone players such as Johnny Gaudreau should have no problem getting a deal done, a fair number of RFAs have something worry about. 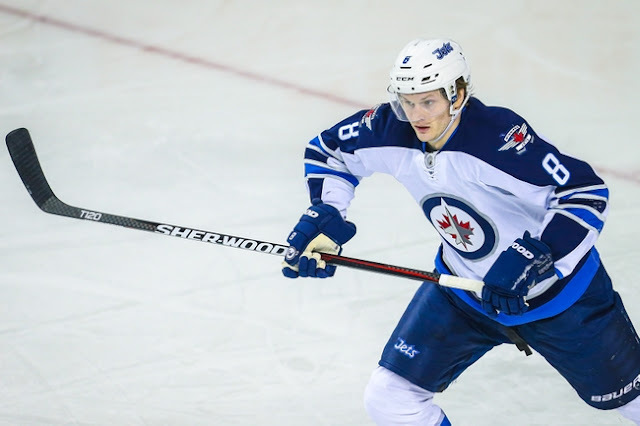 Trouble seems to be brewing in Winnipeg as stud defenseman Jacob Trouba remains without a contract just weeks before training camp. 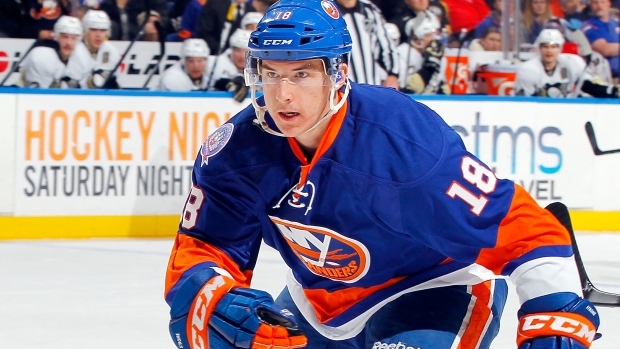 The Jets don't seem eager to meet the substantial contract demands the 22 year old RFA has allegedly made. VOTE: Who wins the Art Ross in 2016-2017? In the leadup to the NHL season, NHL Rumour Report will be rolling out a few polls to gauge fan opinions. Today, we're asking you to pick the Art Ross winner, awarded to the player with the most points in the regular season. 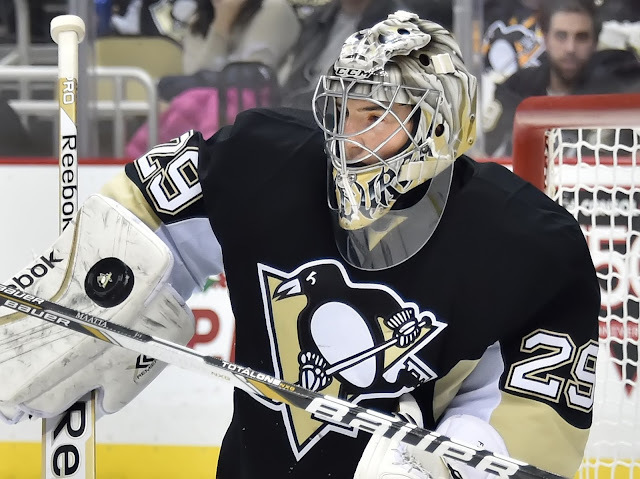 The NHL season is just around the corner, and for many fans that means it's time for fantasy hockey drafts. To help you get ready, we've put together our free top 350 points projections for the 2016-2017 season. Enjoy! Just a quick update to the Jimmy Vesey Sweepstakes...this week Vesey will meet in person with a handful of NHL teams before making his decision. A lot of different takes are floating out there regarding the current frontrunner(s), but there are more or less 7 teams who seem to be high on Vesey's list, and another 6 who can be considered "darkhorses". At least eleven teams have expressed interest in pending UFA winger Jimmy Vesey. 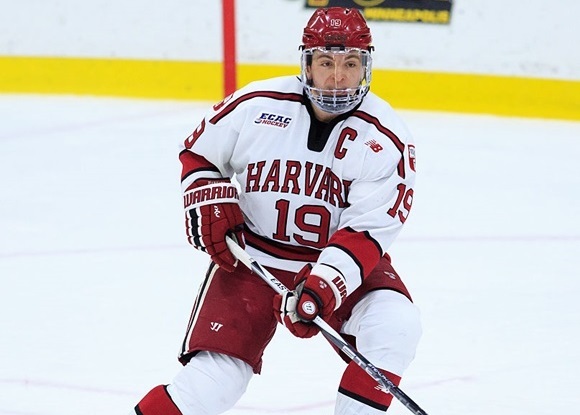 The 23 year old spent the last few seasons playing for Harvard, and is ready to step into the NHL this upcoming season. 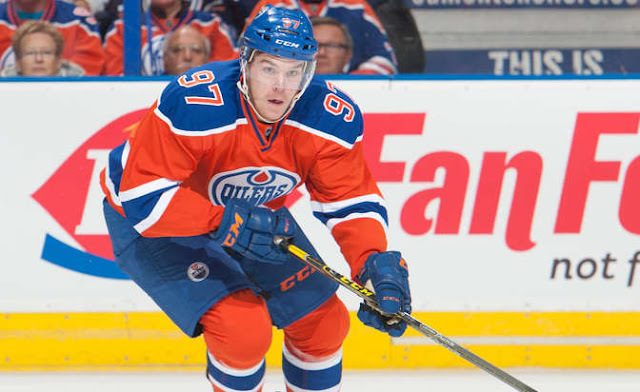 Several key RFAs still don't have deals in place as the NHL offseason drags on. Most teams are able to sign their RFAs in due course, but other negotiations drag on until the eve of training camp, raising the spectre of a trade. 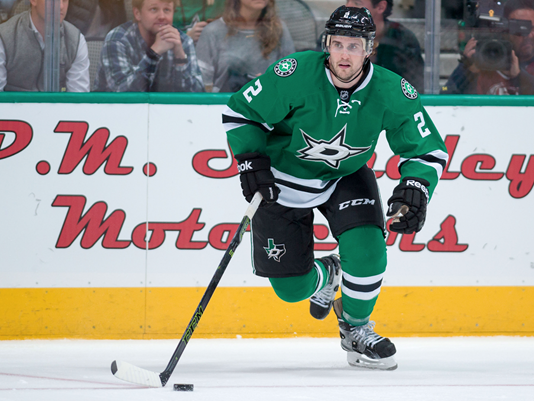 Several contenders for Kris Russell; are the Leafs really interested? 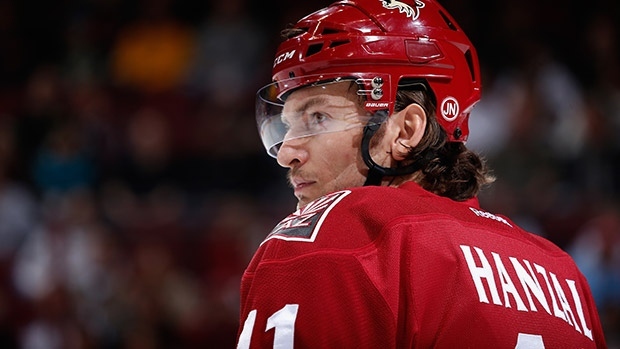 We've more or less reached the midpoint of the NHL offseason, and a defenseman many assumed would go in the first few hours of free agent frenzy still finds himself without a team. 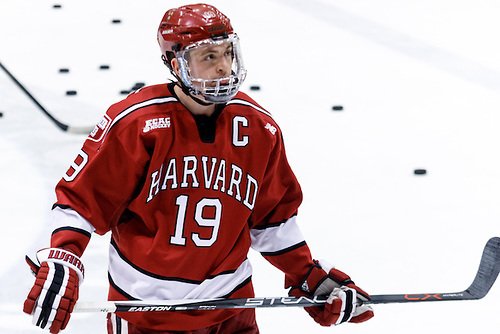 In two weeks time, the hockey world will be squarely focused on pending college free agent Jimmy Vesey. Scouts believe the 23 year old winger is ready to have an immediate NHL impact, making him by far the top player still available this offseason. That is, unless the Buffalo Sabres can work out a deal before he hits the market on August 15th. 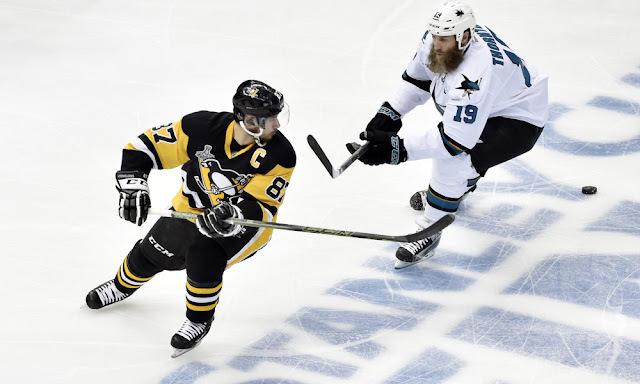 For a while, there was a sense that this offseason would be filled with trades as cap concerns and expansion drafts sparked panic among NHL GMs. Instead, there seems to be a very cautious and quiet tone to the market, despite the large number of names in play. But for these six skaters, it seems not a matter of 'if', but a matter of 'when' they get dealt. 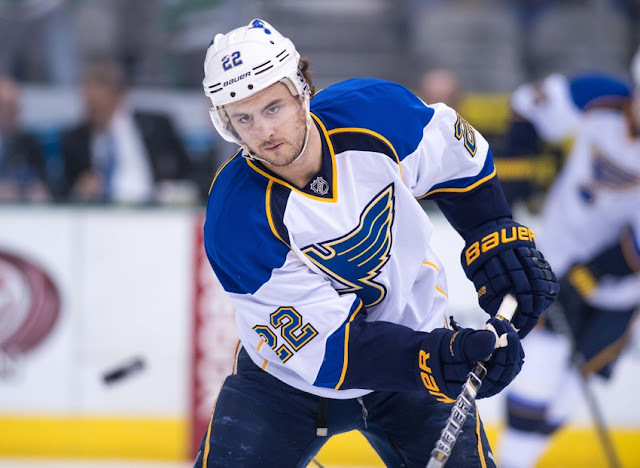 Shattenkirk for Krejci rumours surface: how realistic? 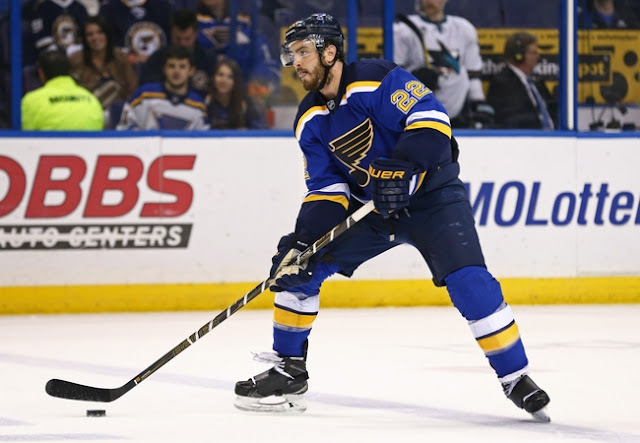 A rumour is floating out there that the Bruins and Blues could be contemplating a swap of Kevin Shattenkirk for David Krejci. 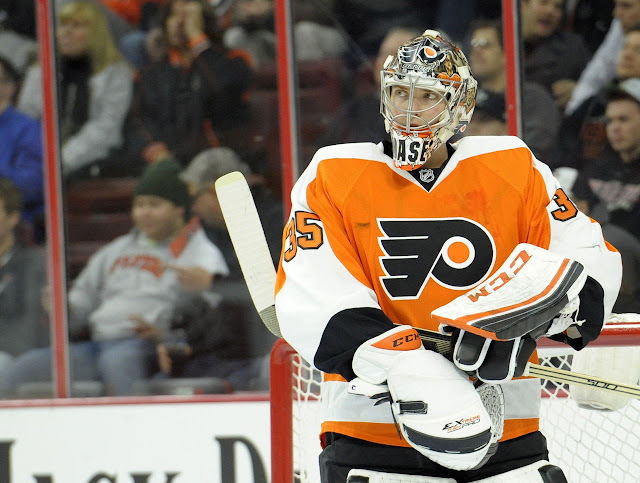 Two key pending RFAs need new deals, and the time to negotiate has all but run out. But if the history of NHL GM decisionmaking is any indication, deadlines usually produce timely resolutions. 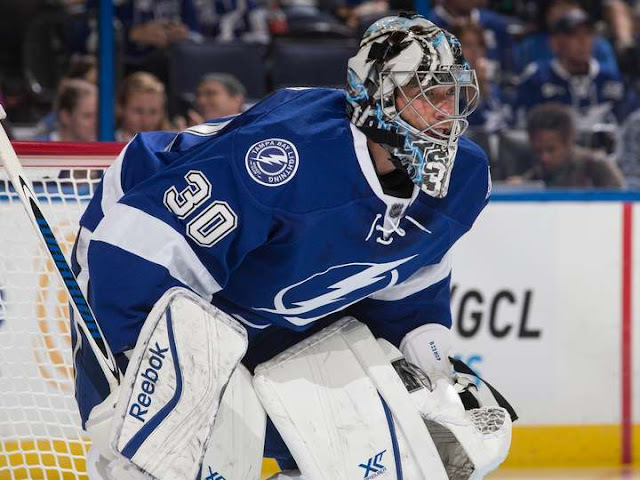 Leafs closing in on Jhonas Enroth? 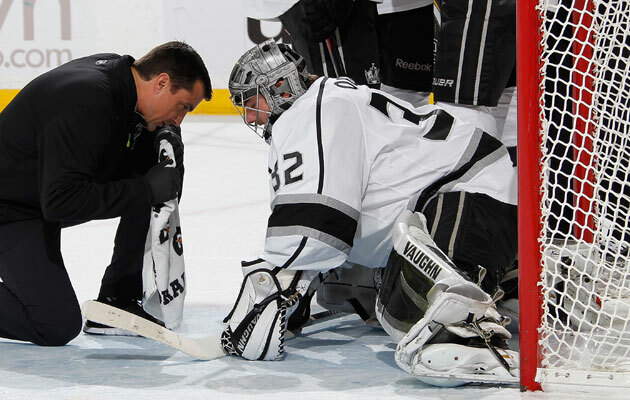 Reports have pointed in all sorts of directions regarding the Maple Leafs search for backup goalie. 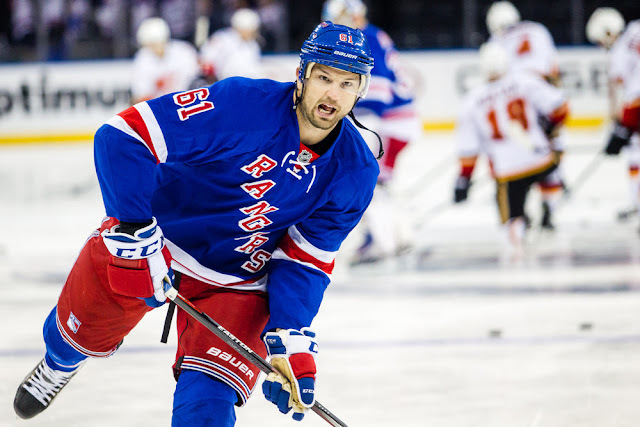 It's long believed the club would go for one with plenty of NHL experience, which rules out anyone currently in the Leafs system. 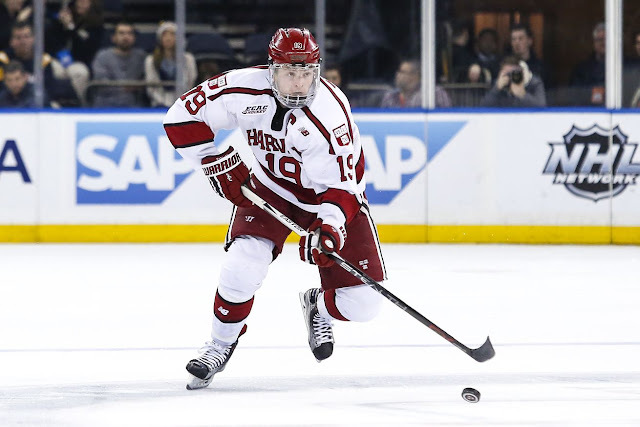 Has there been a shift in the race for pending free agent Jimmy Vesey? Depends who you ask. According to one analyst, he race has been trimmed down to Detroit, Toronto and Chicago. 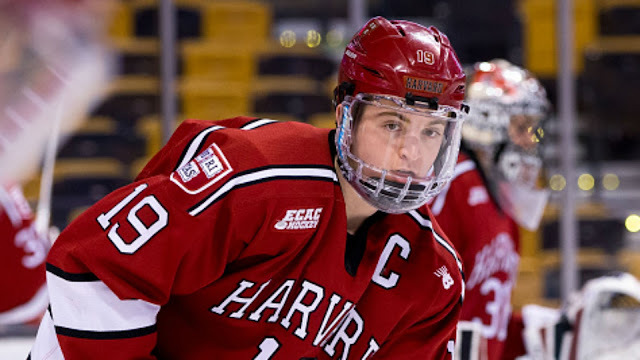 Others believe Vesey still weighing all his options, which includes New Jersey and Pittsburgh, but is leaning towards Boston. The Sabres have thus far been unsuccessful in signing Vesey, and may look to trade his negotiating rights ahead of the August 15th deadline. - The bidding war for KHL forward Vadim Shipachev seems to be growing by the day. 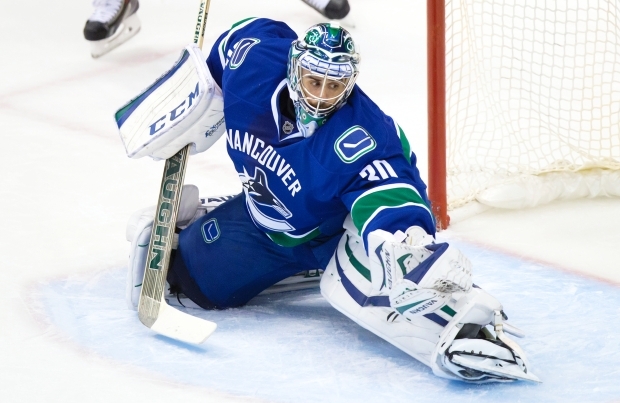 The Canucks are the latest team to get into the mix. 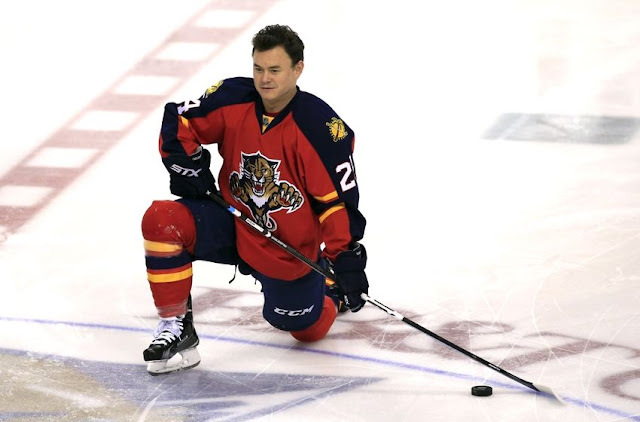 The Panthers, Canucks and Canadiens are also believed to be making serious pitches. The Stars are okay with their goaltending. Just okay. General Manager Jim Nill has made it clear that the Stars will in no circumstance buy out either Antti Niemi or Kari Lehtonen - the 10 million dollar two headed monster that helped the Stars get a top seed but couldn't take them much further. While July 1st was as wild as it's ever been, the days following have been absolutely abysmal. 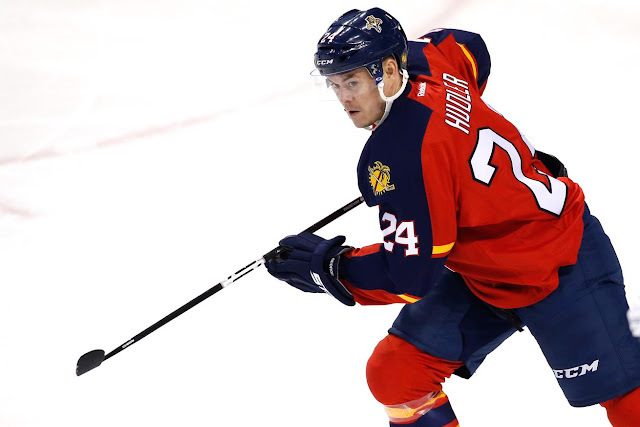 At this stage there just isn't a lot left, which is why the top free agents continue to take their time in hopes that their salary demands are met. There's also been a significant lack of trades, with six getting done between July 1st and 6th last year, versus a single trade this year. 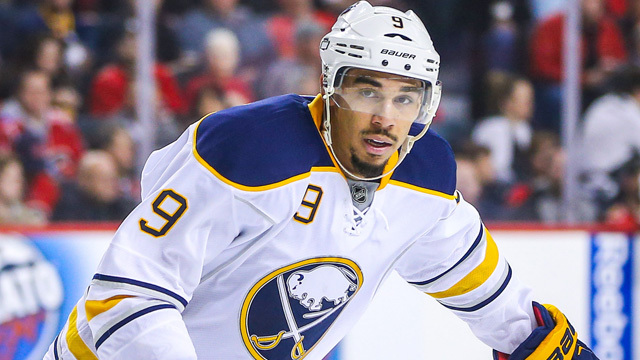 Evander Kane trade talk: Canucks, Ducks possibilities? 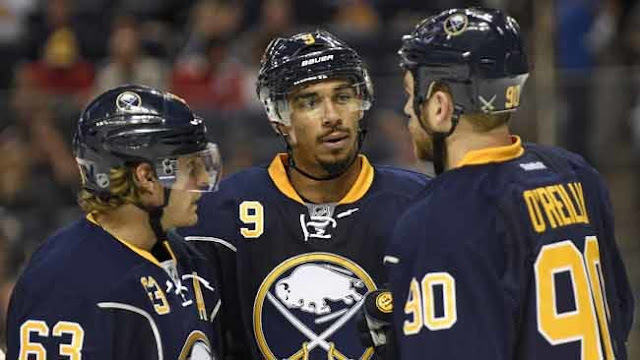 When the Buffalo Sabres aggressively pursued and traded for Evander Kane last spring, most assumed it was to make him a central figure of the team's youth movement for years to come. 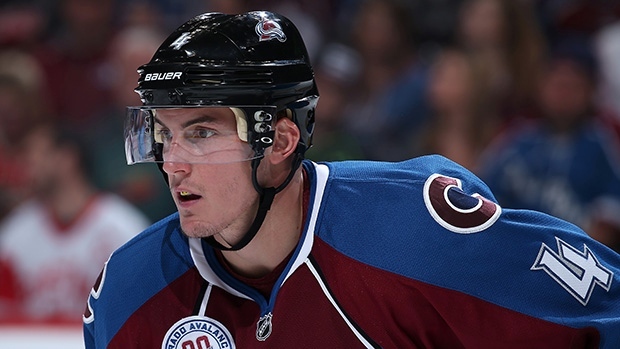 The Tyson Barrie saga has had many twists and turns, but it sounds like we may be getting very close to a resolution. If Jimmy Vesey makes it to August 15th, the Flyers are a team that will come knocking on his agent's door. - I could give you my best educated guesses for free agency, but instead I'll just direct you to the Free Agency Rumour Board so you can see who the rumoured contenders are. Aside from Lucic presumably headed to Edmonton, the bidding on the top players seems fairly wide open. 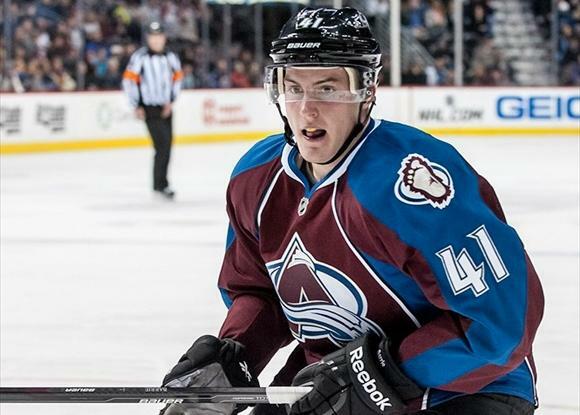 - Is pending RFA defender Tyson Barrie still available? 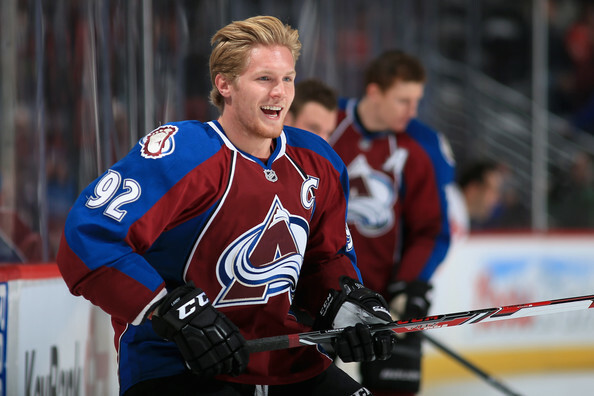 Talks have once again stalled between Barrie's camp and the Avs, and some wonder whether this one might be headed towards a trade despite reports and statements of optimism from both sides. 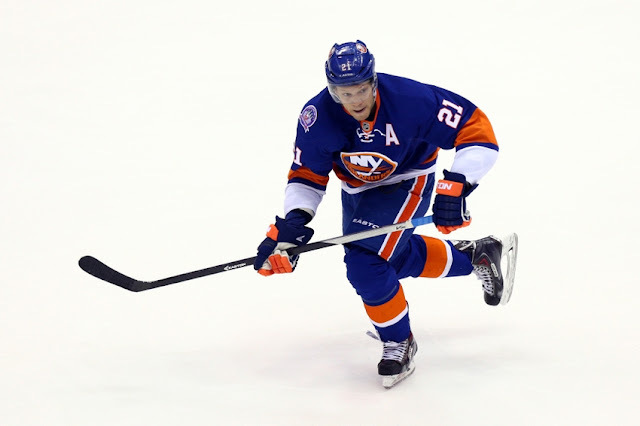 Many teams have talked to Okposo during the interview period, so it looks like this one won't go too far past July 1st. 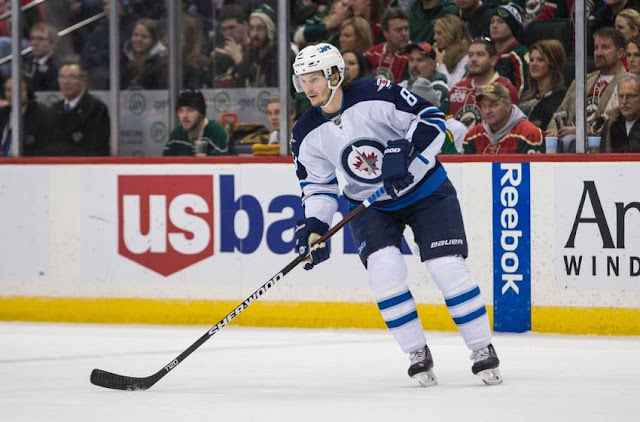 Among those interested in the scoring winger are the Jets, Wild, Red Wings, Canucks, Kings and Coyotes. Although we still don't know for certain which team Steven Stamkos is leaning towards, it's become a lot clearer who the top bidders will be on July 1st. With the free agent interview window opening, we're starting to see a bit of separation between the various contenders.